Researchers at the Ecosystems Center study the biological and physical processes that occur in an ecosystem. Ecosystem ecologists, as they are known, define ecosystems as the smallest unit necessary to understand the complexity of nature. 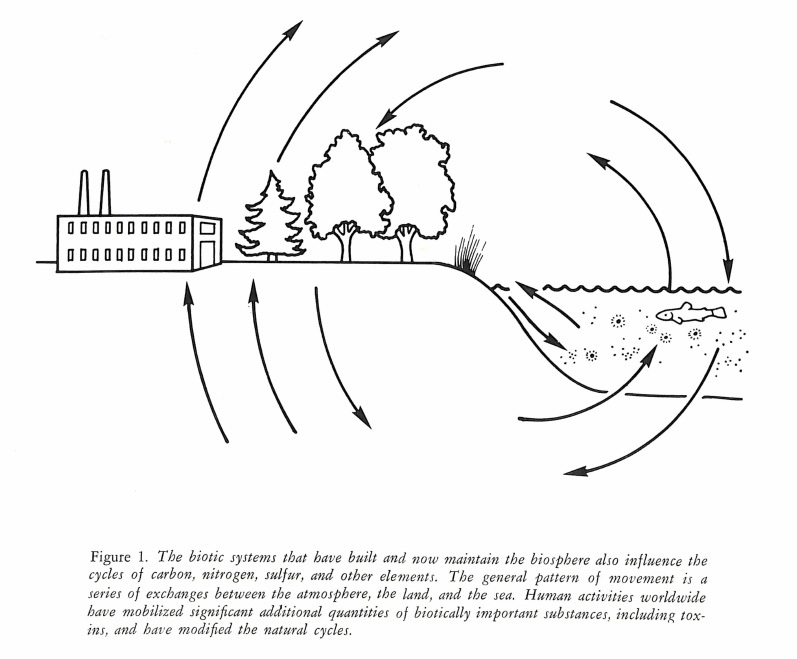 In the 1960s and ‘70s, ecologists studied the abundance and movements of the elements carbon, nitrogen, and phosphorus in ecosystems, known as nutrient cycling. These elements, depending on their chemical form, are important nutrients for living organisms, and they can have drastic impacts on an ecosystem. Also in the 1960s, Ecosystems Center founder George Woodwell showed that even chemicals like DDT cycled throughout an ecosystem. These studies formed the basis for further studies on biogeochemistry, or the movement of chemicals throughout an ecosystem. Many of the researchers at the Ecosystems Center use biogeochemical methods to study ecosystems. Ecosystem ecologists in the US initially started researching ecosystems that had easily definable boundaries, such as a lake, watershed, or part of a forest or grassland, in the 1960s and ‘70s. At that time, ecosystem ecologists mostly viewed ecosystems as stable. When faced with disturbances such as fire or tornadoes, scientists predicted that ecosystems would eventually return back to an apex state. In the 1980s and ‘90s, ecologists shifted to a view that ecosystems are constantly changing, partly due to human impacts. Researchers became more interested in long-term studies on ecosystems to understand these changes. Scientists and historians who have written about the history of ecosystems ecology have left a rich field to explore. According to them, some of the reasons that ecosystems ecology solidified as scientific field included: an increase in public scientific funding after World War II, the influence of Eugene Odom’s 1953 textbook, Fundamentals of Ecology, an increased interest in studying systems level processes, the availability of stable isotopes for research, and the impact of the International Biological Program, which funded studies of ecosystems and provided training opportunities for many ecology graduate students. Although many aspects of science and technology have changed in the 20th and 21st centuries, scientists at the Ecosystems Center continue to hold ecosystem studies as a valuable way to understand and predict changes in the environment.